A elderly man riding a scooter was struck by a vehicle trying to make a yellow light per a witness. The victim was transported by ambulance to an area hospital. The vehicle that hit the scooter kept going and was last seen heading west on Florence. The scooter can be seen mangled in the middle of the street. 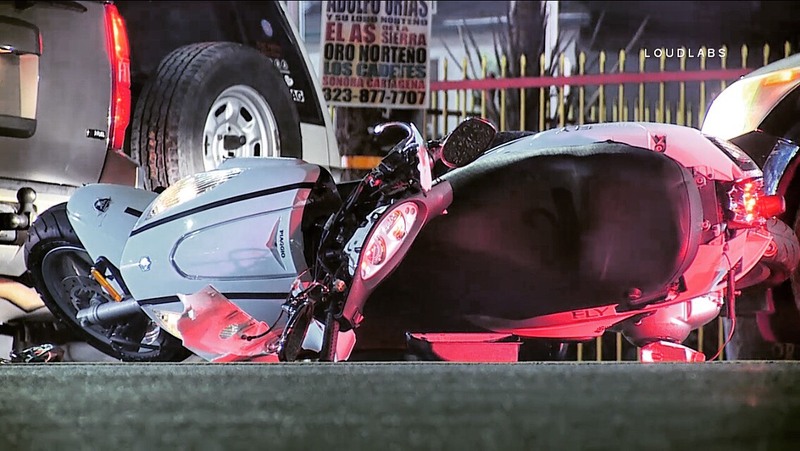 The witness stated that the man flew off the back and landed away from the scooter. He was transported with non life threatening condition.